Seattle-based tech brokerage Redfin reported $140.3 million in revenue on Thursday’s third quarter earnings call, marking a 28 percent year-over-year increase compared to a year earlier. Redfin’s revenue beat predictions from analysts, who had expected an increase of only 27 percent to $139.01 million. The company also reported net income of $3.5 million, which was down from $10.6 million compared to the third quarter of 2017. Redfin’s net income per share for the quarter was 4 cents, beating analysts’ estimates of 2 cents. In addition, Redfin saw a 19 percent increase in web traffic last quarter, CEO Glenn Kelman said in the earnings call. Kelman spent much of the call discussing the weakening housing market, a trend he said would continue “at least through November.” And though sales are unlikely to strengthen in the immediate term, Kelman said that buyers could come back to the market after they adjust to the “new normal” of higher interest rates and if the economy remains strong. Despite the challenges, Redfin plans to spend between $40 million and $60 million in 2019 on mass media marketing, which it believes translates into better brand awareness. That’s up from $12 million spent on marketing in 2018. Thursday’s earnings come after several quarters of significant growth for the company. In August, Redfin announced that during the second quarter of 2018 it generated $142.6 million in revenue, which was an increase of 36 percent year-over-year. It also reported net income of $3.2 million at that time, which was down from the previous year. In the first quarter of 2018, Redfin reported revenue of $79.9 million. Although that was a 33 percent year-over-year increase, the company still ended up with a net loss of $36 million that quarter. The company’s earnings report states that it expects revenue to grow between 20 percent and 24 percent in the fourth quarter for 2018. Redfin expects a net loss in that period between $18.7 million and $16.6 million, which would be up considerably from $1.8 million in the fourth quarter of 2017. 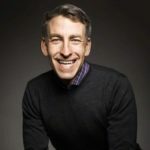 Kelman said during the call that Redfin sees its title and mortgage businesses as growth areas, with “far more” investment going to the mortgage side of the company in particular in 2019 than in the past. The goal, Kelman explained, is to make the process of moving easier and much faster, which is a comprehensive objective that few other real estate companies have embraced. “We believe Americans’ migration to affordable cities is a long-term trend,” Kelman said. A declining market could have a variety of impacts on Redfin, and the broader industry. Kelman said that it was unclear how the trend might impact RedfinNow, the company’s all-cash ibuyer program for homesellers, though transactions have so far declined but not altogether evaporated. But whatever happens to the market and Americans’ buying habits, Kelman insisted that Redfin was prepared.